It’s time for my Australian Dream Cream review – because it’s a product with so many positive reviews. But as I said – it’s the positive reviews that convinced me to give it a try. So is Australian Dream good enough – even for arthritis pain? I’ve used it myself, so I can speak from experience. Note: This review is based on my experience with Australian Dream, not on general info about it. I’m not trying to praise/criticize the product or its company – I am simply telling my opinion about it. Forms: There are 2 – one for arthritis and one for back pain. But I recommend the second one for any kind of pain (I will explain later on why). Where I Bought It From: Ebay, but Amazon has the lowest price right now. So if your problem is serious – it may worsen on the long term if you use just this cream. Supplements are the #1 choice for me. Normally – you would imagine that the arthritis form is slightly better, right? The pain from arthritis is usually more intense than back pain. The back pain form contains 0.050% histamine – while the arthritis one has 0.025%. So it’s exactly the opposite as you would expect. Now that you know this essential tip – it’s tip to move on to the real review, starting with the ingredients. Even though it doesn’t contain the usual stuff – Australian Dream has a great formula, in my opinion. For this reason – I used the back pain form and that’s the one I will review. 1. Histamine Dihydrochloride (0.05%) – though I couldn’t find a lot about this ingredient, I do know it’s very powerful. So basically – it’s a very powerful ingredient alone. As it’s applied on the skin, its effect is not that strong. But compared to other creams, it’s a lot stronger. That’s why I really trust this ingredient. As it is – there’s no need of any extra ingredient, in my opinion. The histamine can do its job well enough alone. Now – most creams contain over 10 different substances (as active ingredients). Penetrex is the best example. Out of those – most are probably inactive. However, they don’t mention anything about this. Australian dream does contain a lot of extra ingredient – especially herbal extracts. But they’re clearly labeled as “inactive” – so the brand is really honest about what they use. However – that’s something normal for every cream. Even though Australian Dream is better than many others, it still has this big problem. So that’s why I wouldn’t recommend it for arthritis or chronic pain. Now – I had best results with turmeric supplements. But I was always looking for new products – especially if they had many positive reviews. So that’s why I gave Australian Dream a try. It could surely not cure my arthritis, since it was a cream. But I wanted to see if it can really decrease the pain as well as reviews say. Now – I bought the 4 oz bottle, which wasn’t very large. But I didn’t have to apply a very thick layer – as I would with other creams. According to the label, you only need to use a thin layer. However, the second time I tried to apply a thicker one – and my pain felt better. So overall – I was quite satisfied with Australian Dream. This cream works – it’s surely not a scam. So for a minor or temporary pain – Australian Dream is great. 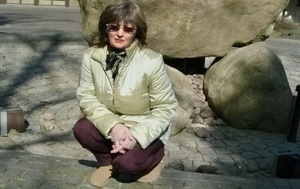 But for arthritis or a pain that is constant – you need an internal treatment, not just a cream. So it’s like you’re not applying anything on your skin – after a few minutes, you can’t even feel there was a cream. That’s one of the strong points of Australian Dream – since most creams I used were pretty bad at this chapter. So if you’re looking for a light cream, this is one of the best. To be honest – I never recommend this kind of products. They’re pretty uncomfortable because once you apply them in a spot – every sensation goes away. So if you get a cut, you will probably not feel much. So this is another reason why it’s not a basic product. It’s surely above many arthritis creams. Once again, I have to compare Australian Dream with other creams. Now – that was in my case, because I have a pretty bad pain. But if your joints aren’t hurting a lot, you might even have to apply it 1-2 times per day. That is definitely not much. I’ve used creams that had to be reapplied every 2 hours – which was really uncomfortable. So Australian Dream is one step ahead, from this point of view. That’s my personal opinion – considering that histamine isn’t a very expensive substance. So let’s take a look at the 2 version of Australian Dream. Now – I won’t take any of them separately. But their general price is a bit too high, if you ask me. I mean – $24 for a little 2 oz bottle is a lot, no matter how good the cream was. At this quantity – I doubt it’s going to last more than 3 weeks (if you really use it). As I said, it’s definitely a good cream – compared to others. But in terms of price, it’s a lot more expensive than the same creams. As I said – I wouldn’t recommend Australian Dream if you have a constant pain. I think you understand what I mean. When your pain is chronic – it’s usually a sign that there’s a problem behind. So if you only treat the pain (temporarily) – the cause is still there. And it gets worse. Otherwise, your problem has 80% chances to worsen on the long term. Now – histamine dihydrochloride is the only ingredient from both. They do contain some other stuff, but those are inactive substances. So why would they add more histamine in the back pain form – when back pain isn’t usually as bad as arthritis pain? So it doesn’t really make sense. 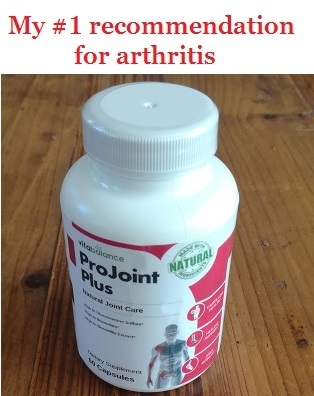 In my opinion, they should either add the same dose in both – or they should make the arthritis form more concentrated, since it’s a more severe pain. So if you decide to buy Australian Dream – go for the back pain form even if you have arthritis. My Verdict – Is Australian Dream Worth Buying? Short answer: For a minor pain, definitely. It’s one of the best creams I tried throughout the years. If you have a minor joint or muscular pain and you need a cream – Australian Dream is a great choice. However, you will have to pay more than for other creams. If you’re fine with this, go for this cream. So on the long term – it’s a much wiser choice, in my opinion. But sure, it’s up to you what you decide. The fact you said it is good for a few hours but not for a long while is very important. My sister suffers from arthritis since ten years ago, and first reading this I thought it would be for her. But as you mentioned, it won’t be good enough for her. So from what I understood, you recommend a supplement for arthritis – and not a cream (not Australian Dream necessarily)? I don’t know a lot about drugs, but it makes sense that a pill works better than a cream. I’m surprised they have similar prices, shouldn’t pills or supplements be more expensive than creams? Thanks for sharing this review, I think my sister needs to look further in this case. But I think a lot of people should understand the difference between external and internal products for joint pain. Hi Emmanuel. Yes, my top recommendation for arthritis are supplements – because they work on the inside, treating both the cause and the pain. Creams and lotions only hide the pain for a few hours and then it comes back as strong as before. So they do nothing for the problem inside. On the long term, that might worsen the problem, since it’s not treated. Now – supplements should normally cost more than pills, but in reality they don’t. Most brands create creams for any kind of pain, not just joint pain. So they have more customers, so they afford selling them for more money – because people buy. On the other hand, supplements are mostly designed for one problem – joint pain in this case. So there aren’t so many people interested in them as there are for creams. That’s why they are cheaper, in my opinion. But yeah – your sister should definitely not use a cream, at least not alone. Australian Dream is pretty good compared to others, but it’s still a cream – so it does nothing for the cause inside. Here’s my #1 recommended turmeric supplement – it’s cheaper than most and works really great. – if she has cartilage problems or osteoarthritis – glucosamine products work best because they rebuild cartilages. ProJoint Plus is my top glucosamine supplement – because it contains a better form, it’s pretty cheap and works for real. If something isn’t clear or if you have any other questions, please get back to me. My husband battles with back pain, but I think its mostly muscular. He’s young, doesn’t have any joint related stuff. So I think he needs to work on his posture if he wants a permanent cure. I am going to show him this review, as I’m thinking Australian Dream may help. He is always looking for something to mask the pain while he plays golf, and this cream may be just the thing as it seems to last a good few hours. I also like that it isn’t greasy, as the other spray that he is using at the moment is so greasy that he has to wait about half an hour before putting on his shirt. What do you think about this problem? Hello Michel. Yeah, this Australian Dream cream should work in your husband’s case. It’s not just a joint reliever – it’s actually good for any types of pain. So if he only needs something temporary, it’s perfect. Though it’s not very cheap, if he only needs to use it at times I think a 2 oz bottle should last long enough. You said his problem is probably muscular – does he happen to have a magnesium deficiency? This usually causes cramps, but mostly in the legs, not so much in the back… Anyway, this product works best for pain caused by magnesium deficiency. But for now, I think Australian Dream cream is the best solution. In case his pain doesn’t get better, please let me know and I will try to give you some advice. Hope this helps. My father used it and it helps. I agree it’s not a cheaply cream but he’s had little success with other creams like Biofreeze or Penetrex, I wonder if you tried those? I didn’t know there’s such a big difference between a cream and a supplement/drug. My father had a treatment from his specialist but he stopped taking it because it was useless, so he just used Australian Dream because it was much better. What you said frightened me a bit, because I encouraged him to use just the cream if it’s helping more. So I would need an advice, should he go back to his prescribed treatment or try a supplement – or continue just with the cream? I bet you will say the first…but can he still use the cream if it helps so much? Hi Bob, don’t worry – it’s not a silly question and I won’t get angry either way. It’s my pleasure to help. Overall, I don’t think any of them is worth buying. Now – I could feel an improvement in my pain from both of them, but your father may have a more serious problem. Maybe that’s why they didn’t help. So Australian Dream is better than both of these 2, in my opinion. Now – regarding your question. I know that prescribed drugs sometimes don’t seem to help. Besides, they can also caused serious side effects like stomach problems, ulcer and heart issues. But the best way to treat arthritis and joint pain is on the inside – and that’s something only pills can do. Creams and lotions surely help – but they only hide the pain, they don’t treat the inside problem at all. So if you only use a cream, your problem will worsen on the long term, because you’re not treating it. You understand? That’s why you need a supplement, besides the cream. 1. If he doesn’t get major side effects, I advise him to continue the prescribed treatment (from his doctor). That’s the best choice. 2. In case those pills are really bad for you, you can try using a supplement. Now – you didn’t mention what form of arthritis had your dad, but I guess it’s osteoarthritis. In this case, glucosamine and chondroitin are the best choice for him – because they rebuild the damaged cartilages. This supplement is my top recommendation, but here’s a longer list, in case you need other options as well. Let me know what your father decides and whether his pain gets better or not.